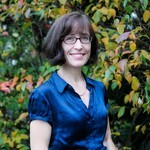 Jessica Hemming teaches Medieval & Renaissance History, English Literature, and occasionally Celtic Mythology, at Corpus Christi College. Her principal specialist area is medieval Welsh literature, with sidelines in folktale, mythology, and the cultural history of the early Celts. She is the Editor of the London-based international journal "Folklore," with which she has worked since 2000. Her research interests include the folklore and general cultural significance of colours; the representation of animals, plants, and material culture in Medieval Welsh literature; the “female gaze” in early Celtic texts; ancient Celtic mythology; and Welsh personal names.